Sooo not sure about anyone else last night, but I’m SOOO happy I had something to ease my Sunday (errr Monday?) scaries after a really nice, but painfully-short-as-per-usual long weekend. #bachelorettemonday, @bkoof you saved me, lady. 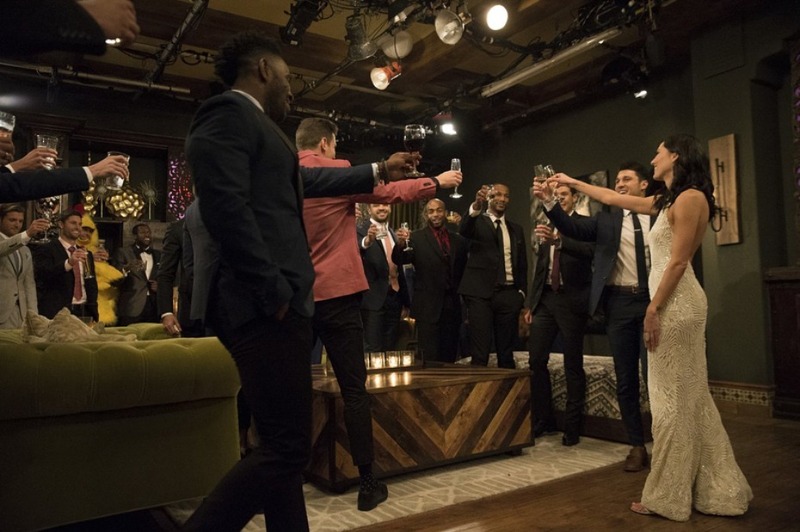 Last night’s episode was so good, and I couldn’t be any happier for Becca after the complete s***show that was last season (canceled engagement, remember? Just checking). It’s your time now BK, it’s your time!!! 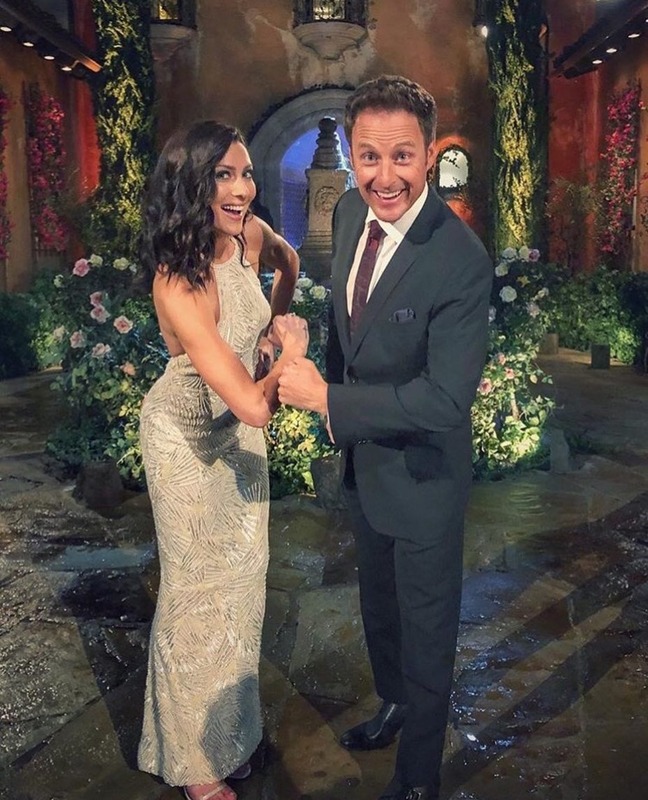 Well, we’ll get into some of our predictions, first impressions 🌹and favorite quotes//dare we say dumbest things said… a little later on, but for now, that dress. There have been many before her who have rocked white hot fashion on premiere night, ahem Rachel Lindsay, but we might - more like definitely - like Becca’s even more. And here’s what we learned about it. It’s a custom Randi Rahm couture bridal gown. I am so not a fan of bling on bling on bling. Like, at all. 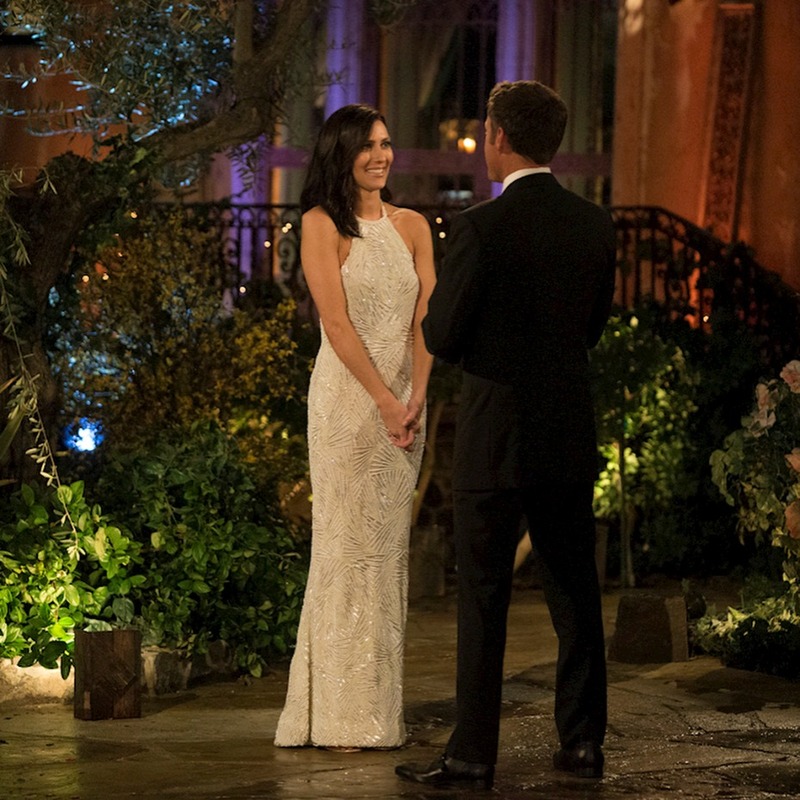 But Becca’s dress just really did it for me. Not sure if it was the halter neck - which looked stunning on another recently-married bride, goes by the name of Her Royal Highness The Duchess of Sussex, as her reception ensem. Or the fact that the gown complemented her shape INCREDIBLY, with an open back that was legit TDF. But I could see something like this working for any woman with an art deco-aligned party aesthetic. If you’re going with a dress with lots of volume for your ceremony, this is a great juxtaposition for the reception look. And you can even totally streamline your beauty game, let down your curls, because this dress demands that everything else be simple and minimalistic. It’s got all the built-in extra you need. So about the rest of the episode. Here are some thoughts. Becca’s got her bride face on. Guys with questionable “jobs” are goneee. Okay, not saying that a “social media participant” doesn’t sound amazing, but WTF is that? Kamil couldn’t possiblyyy fathom getting sent home before the chicken, and he was embarrassed. Just embarrassed. Like sooo embarrassed. Well, maybe next time you can show up with a career that isn’t SMH-worthy, and an entrance that doesn’t make Becca walk 60 percent to you… 50-50 b****. Throwing guys under the bus seems to be a good play for now. So Chase was cute, he really was. But I’m not upset that he’s gone, whether he had ulterior motives wasn’t very clear. That being said, Chris wasted ZERO time getting Chase to come clean about all the texts from this Danielle chick. ((Who he supposedly dated for a month, 2 weeks, a few days, who the f knows)). Becca saw through all the BS and got rid of Chase, but didn’t seem to flinch over Chris playing a part in it. Maybe she likes a guy who will play dirty to get to her… Or maybe it’s just the choir. Probs the choir. Colton and Garrett will obvi be faves. These two really had the sweetness on point last night. 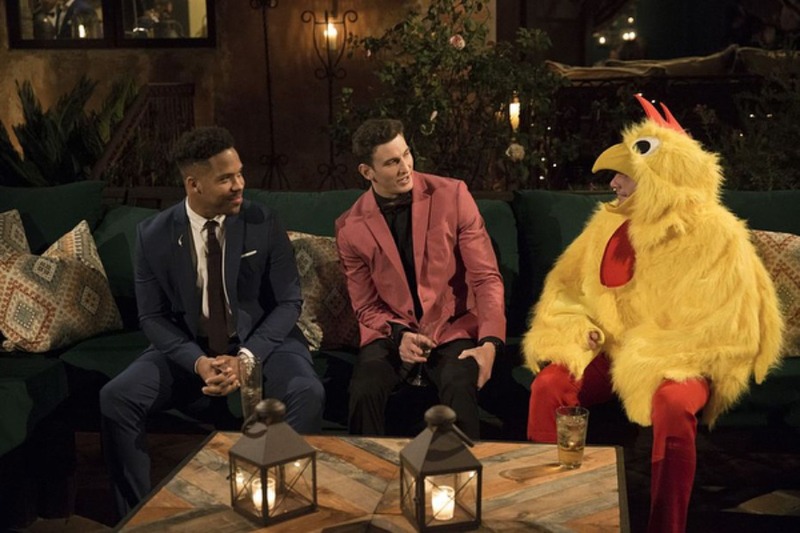 Colton revealing his cousin’s CF story and how it inspired his nonprofit literally had me tearing, especially since he came from a pro football former life. #gottagiveback. And Garrett seems to be Becca’s everything. Reminds her of home, drove up in a minivan with dad life in high gear, and gave her a fly fishing feather. Blake weirdly gives me villain vibes. Yes, Blake is cute. He’s managed to make Becca swoon with animals and cute related puns (re: falling off a horse and getting back on, feelings stronger than an ox for her), and that maroon jacket was pretty 🙌. 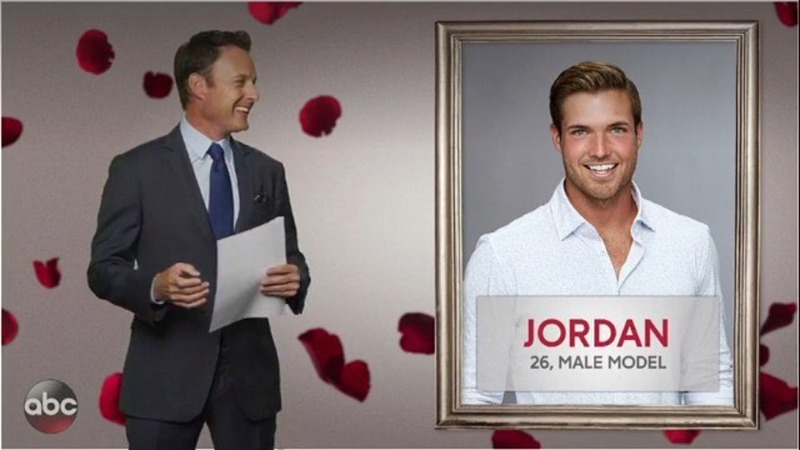 But when he had a few of his talking head/confessionals, mentioning how good it was for him to see other guys leaving, his creepy smiles/smirks made me wonder if this seemingly charming Denver boy has devious motives. #notconvincedhesoneofthegoodones.